What to do BEFORE, During and AFTER The Next Housing Market Crash. Hi, Rob Swanson here. 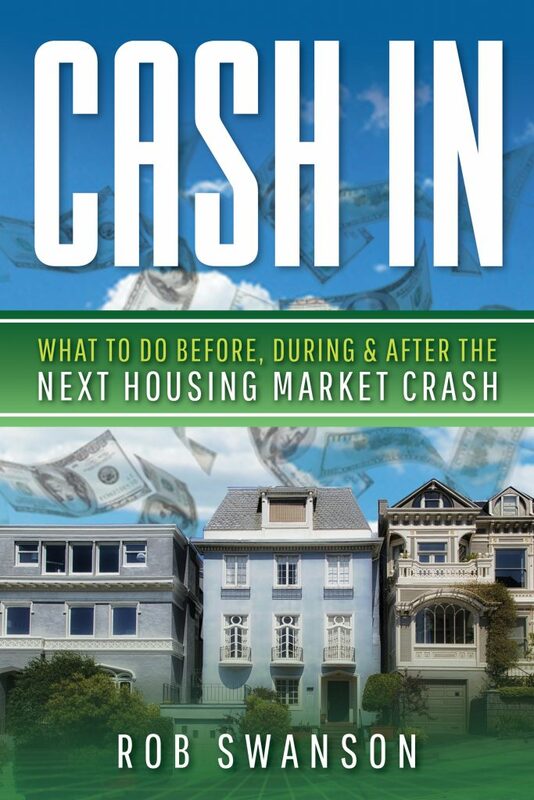 CASH IN is the book you need if you're even 1/2 interested in making money, generating cash and creating cash flow in real estate in the coming years -- while protecting yourself against the inevitable next crash. It chronicles exactly what I did BEFORE the 2008 housing market crash, how I knew to "sell" before the crash and what I did AFTER the crash to really cash in. You'll get an insiders take on what I now see was my $30M mistake, what I'm doing different to prepare for the next crash and how you can copy everything and CASH IN.